Hennessey has done it yet again! From the Venom GT to the insane CTS-V and wagon, the forward thinking Texas automotive company modifies cars with their own steroids to produce cars that break ground for major manufactures and have the authority to do so from the reputation they have made since the Hennessey Viper and other iconic super cars. This time, they took a Ford Raptor with the 6.2litre engine and not only increased the power, but increased the number of people you can go off roading with. 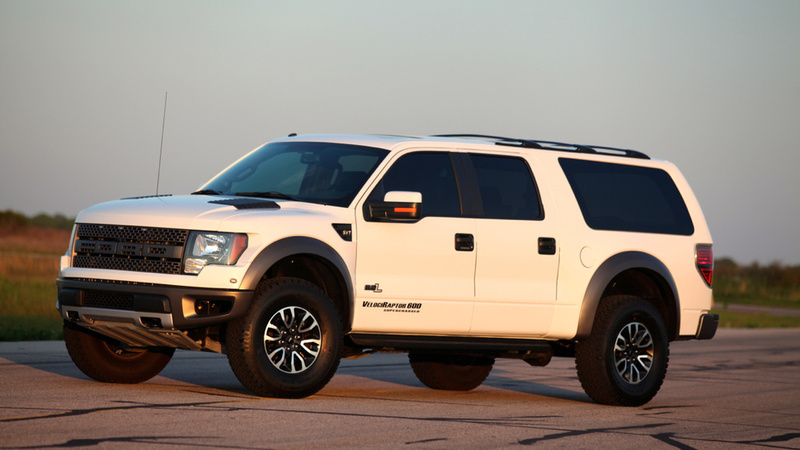 Now a 7 passenger, 600hp motor of a monster that has the label of the "Ford Velociraptor" seats and powers the intense off road SUV. The motor comes from Hennessey's Velociraptor 600 that puts out 459 rear wheel horsepower and 436tq. Custom seating arrangement, Brembo Brakes, upgraded wheels and other trinkets with the look of a factory make, beefed up Excursion - this an ideal SUV for any mountain family. 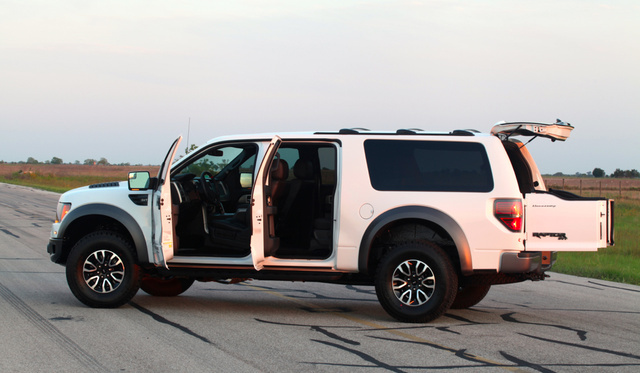 Scare your In-Law's with the ultimate SUV from Hennessey. First Ever BMW 3 Series GT Looks Amazing!